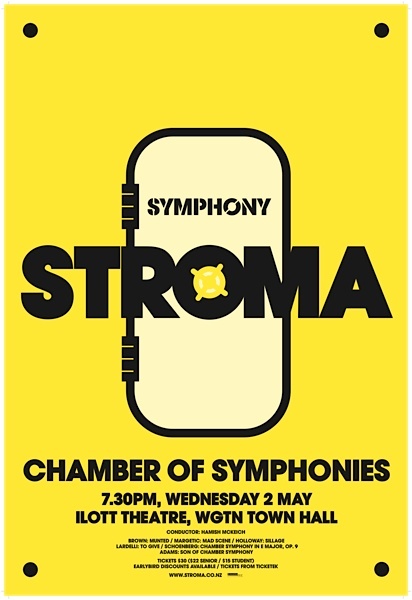 Two barnstorming chamber symphonies: Schoenberg’s classic Op. 1 that defined a genre, and John Adam’s recent work "Son of Chamber Symphony". Alongside these two milestones are a smorgasbord of works by local composers, celebrating NZ Music Month: world premieres from Chris Cree Brown and Karlo Margetic, and performances of works by Dylan Lardelli and Samuel Holloway. Supported by a Wellington City Council venue subsidy grant.